In the whole twelve years I have lived here, I have never been to Bellingen Island. It’s known by the locals as Bat Island, and I had been told that it was smelly and tick and leech infested. 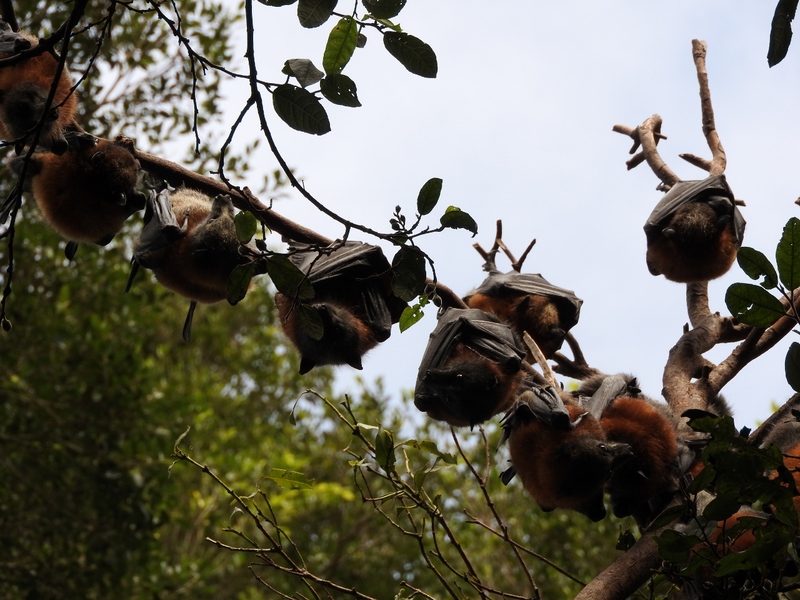 Which it probably is at the height of summer, but winter seemed like a perfect time to venture in to take a look at the bats (aka Flying Foxes) and the wonderful rehabilitation work being done by Landcare volunteers. Fascinating and sweet faced creatures they may be, but I’m still not happy when I hear them at night fighting over the flowers on my mango tree. 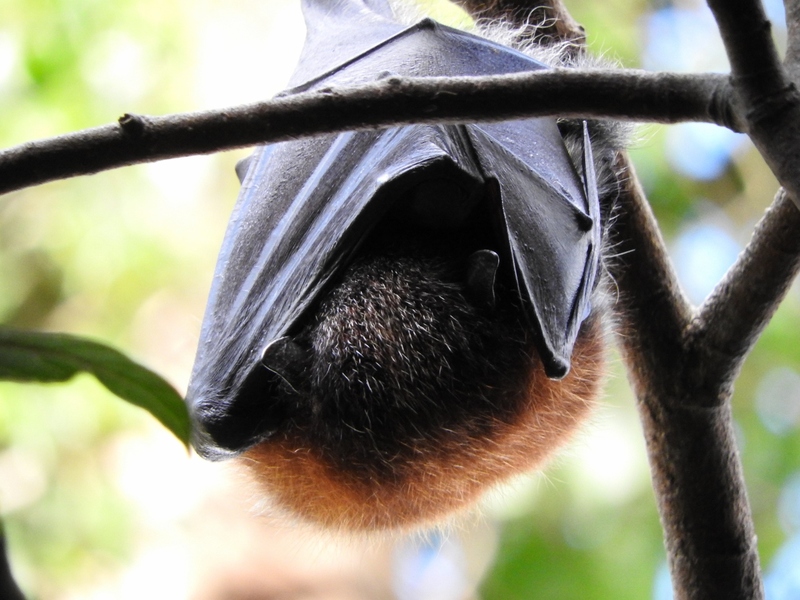 And here’s a tip – If you go down to visit the bats, make sure you gawp and look upwards with your mouth firmly shut. You never know what might fall out of the sky !! Previous What do Water Dragons want … ? Wonderful photos! Love the Dracula capes. Yes very cute – when they are not in MY garden! 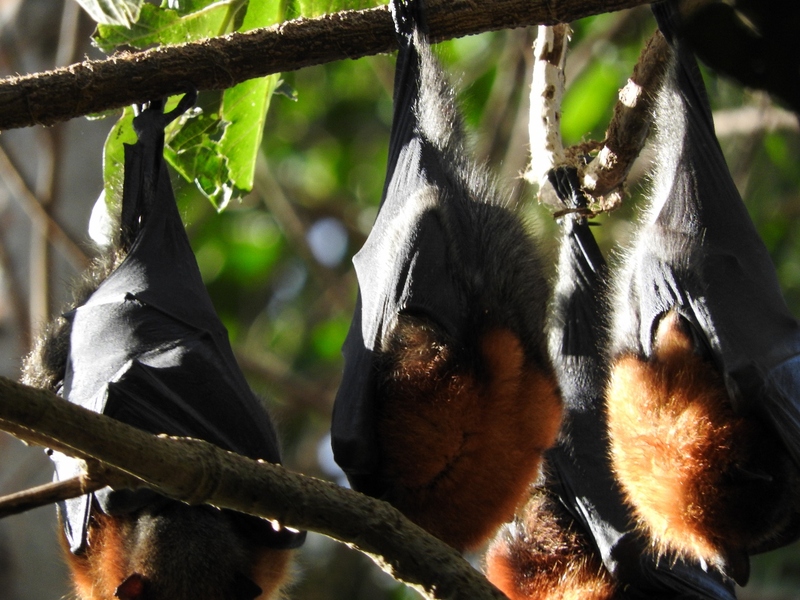 Thanks – they are very photogenic, and they make it easy by just hanging about!